Sample Modeling | The Flutes. Symphony Pro – Music Notation on the iPad – Major update. 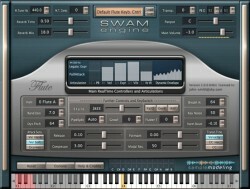 Symphony Pro – Music Notation on the iPad.